This is AWESOME news. I’ve been waiting for this film to be released in HI-DEF for quite some time. It seems like Spielberg and his team are doing it up right. At least I hope so. Spielberg did confirm that he will not be changing anything for this release like he did to his film ‘E.T.’. 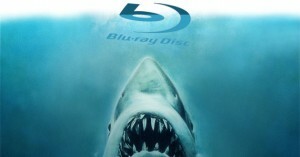 ‘JAWS’ will be released August 14th, 2012. No specs or extras have been announced yet, but I imagine within a little bit of time there will be a full list of all the goodies to come with this release. 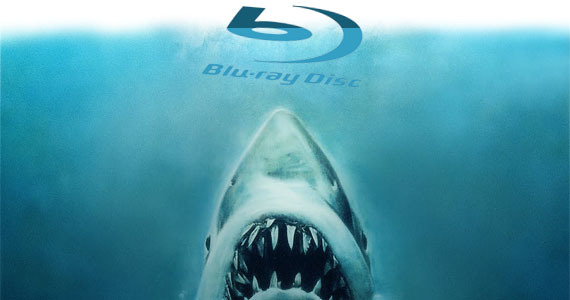 I’m sure hoping that the badass documentary ‘The Shark is Still Working’ and the original documentary that was on the laser disc version will be transferred to the bluray. And since the Jurassic Park bluray release had a special limited edition gift set complete with dinosaur statue, I’d bet that there might be a same kind of limited edition set for purchase with a shark toy or statue. And let us not forget that next year, the year of 2012 marks the 30th anniversary of the release of E.T. So, I wouldn’t be surprised to see that releases in hi-def as well. Keep your web browser tuned in right here to get the latest info on the JAWS release. ‘E.T.’ Will Return To The Big Screen!!! E.T. The Extra-Terrestrial Bluray Announced and Detailed!!! This entry was posted on Friday, December 23rd, 2011 at 11:22 am	and is filed under News. You can follow any responses to this entry through the RSS 2.0 feed. You can skip to the end and leave a response. Pinging is currently not allowed. You don't even have to say it, I already know... Don't give me no damn gun! You know what I'm gonna do with it!